Santa Claus Delivers Lumps Of Coal to Mayor Kasim Reed! 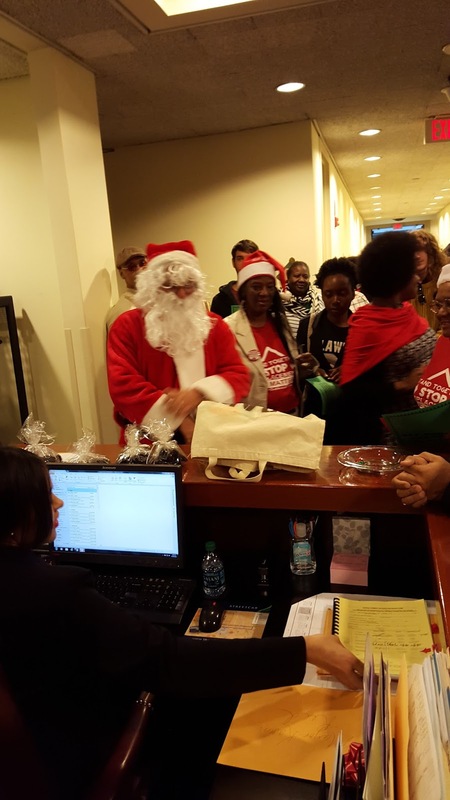 Today Santa Claus Joined Peoplestown Residents Fighting to Stay in Their Homes. Residents in Peoplestown who have been fighting to stay in their homes, despite the cities continued threat to us eminent domain to remove them, plan to brought Christmas cheer to Atlanta's City Hall. 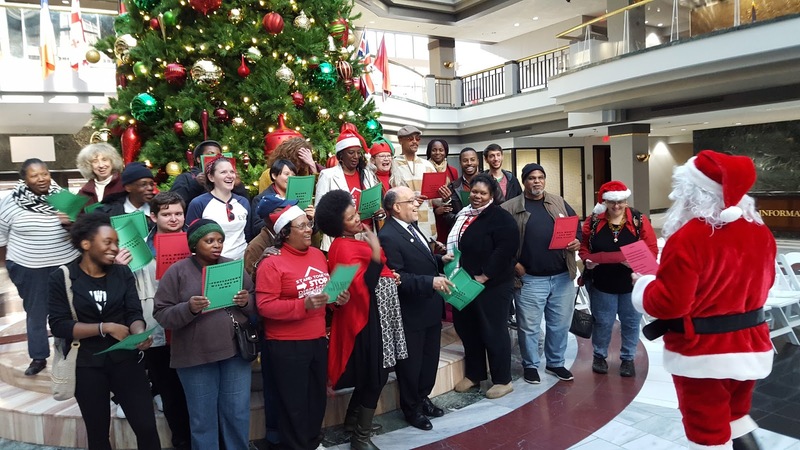 Residents were be joined by Santa Claus as they sang rewritten Christmas songs around the giant Christmas tree on the first floor of city hall. Residents and supporters then joined Santa as he delivers a lump of coal to Mayor Kasim Reed's office. 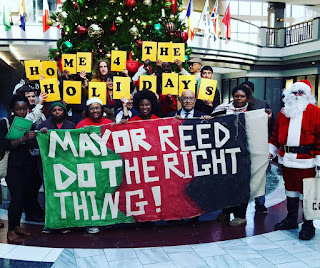 Unfortunately Mayor Reed made Santa's naughty list for refusing to work with residents that are desperately fighting to stay in their homes and their neighbors who want more transparency in development projects in the Turner Field neighborhoods. As of now eminent domain proceedings have not begun, and there is speculation that the Mayor is reluctant to do this because the part may include some sort of non flooding related development, which is what many in the community have feared from the beginning. Senator Vincent Fort also joined the group of residents in prayer, song, and action. Check out the campaign video here. To check out video clips from today and more check out Occupy Our Homes Atlanta's Facebook page by clicking here! Almost 6k people have signed the online petition online petition.